Free download Affinity Photo 1.6.5.135 Beta latest version. 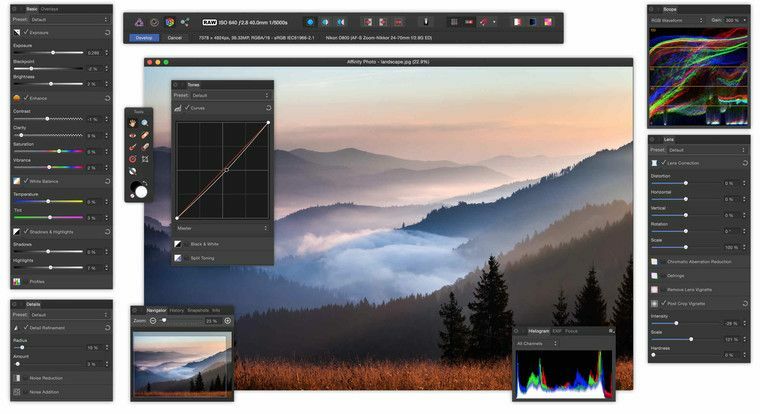 Affinity Photo redefines the boundaries for professional photo editing software. With a meticulous focus on workflow it offers sophisticated tools for enhancing, editing and retouching your images in an incredibly intuitive interface, with all the power and performance you need. Windows or Mac, the back-end engine of Affinity Photo is the same. This means 100% perfect file compatibility, including shared undo history.